With its subtle arches, this Accented Cathedral Solitaire Ring is robust, yet delicate. 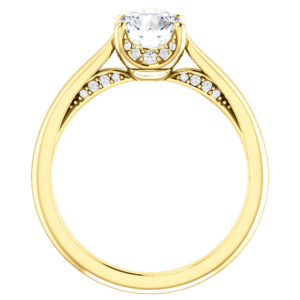 Small diamonds hide in the bridge of this striking cathedral setting, giving it some extra sparkle, but they do so without taking away from the simplicity of the ring. Any type of stone can be used from about half carat up to 1.5 carats. The listed price is for a ring in Sterling Silver with Diamonds. 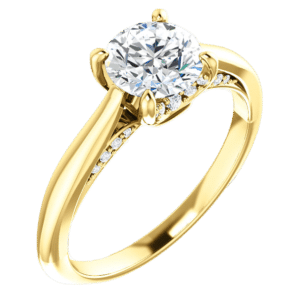 Click HERE to see another cathedral solitaire ring style.